The decision revolving around "Make or Buy" has been the staple of industrial economics over the past few decades. With aggressive globalization, the outsourcing model has extensively evolved throughout the world, with numerous companies offshoring their tasks to external service providers. Although initially companies outsourced to reduce costs, today, offshoring is also done to avail quick and efficient services that add value to their businesses. 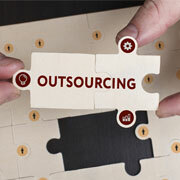 What are the effects of outsourcing? The effects of outsourcing can vary from one place to another and can be highly subjective. Like how every coin has two sides, outsourcing also has positive and negative effects. In this article, we have compiled all the major pros and cons of outsourcing to help you analyze the market trends and make informed decisions. What Makes Outsourcing Beneficial In spite of the Cons? 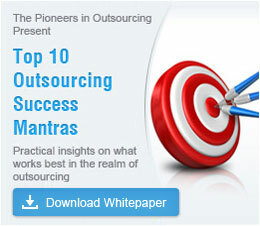 In spite of the negative effects of outsourcing, the pros weigh higher in comparison. More and more companies are choosing to outsource their requirements to offshore service providers as it comes with numerous benefits. Offshoring can help companies to get access to expert and skilled resources who will be able to handle the processes better. It also helps in increasing the in-house efficiency of the outsourcing company, as the employees are left with more time to focus on their core activities. One of the main advantages of outsourcing is the cost savings. It helps companies to save a considerable amount of time and money, which would otherwise have been invested in hiring an in-house team and maintaining the required infrastructure. In addition, companies can also access a huge pool of talented resources, best infrastructure, and the latest tools and technologies at extremely reasonable rates by outsourcing. Outsource2india has been providing a variety of services to global clients for over 20 years now. We have the required infrastructure and skilled resources to provide a wide range of services including call center, software development, healthcare BPO, engineering, creative design, financial services, photo editing, mortgage, insurance, etc. Our vast multi-domain industry experience helps us to thoroughly understand various business models, the impact of outsourcing, and then provide the services accordingly. Therefore, if you are looking for a reliable, efficient, quick, and cost-effective outsourcing service provider, then please feel free to reach us now!